The Q2 looks essentially the same as its predecessor, but under the hood notable improvements have been made including the addition of weather-sealing, better battery life, a new processor and a much-improved electronic viewfinder. Pixel count has also nearly doubled. While the Q2 will replace the original Q in Leica's lineup, the Leica Q-P - a stealthy version of the Leica Q - will remain available for some time, according to the brand. The Leica Q2 ships March 7th for $4995. Raw photo processed to taste in Adobe Camera Raw. The Q2 and original Q look pretty similar, but there are a lot of upgrades under the hood. Here's the nitty gritty. We take a closer examination at how well-suited the Q2 is for a variety of common photography use cases. How's it feel in hand? How's the new electronic viewfinder? Find out here. We've been shooting around with the Leica Q2 – here are our initial thoughts based on that time. Puppies and landscapes and portraits, oh my! 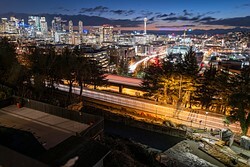 Check out our full sample image gallery for out-of-camera JPEGs and Raw conversions. You're a gear nerd, we get it. Here's where you'll find all the juicy details about the Q2 listed out. If Sony outed a 100MP sensor on a decent fast 24mm lens using the same framing tech to superimpose 28mm, 35mm 50mm and 85mm crop framelines on the 24mm area, AND they made sure their 24mm f2.0 AF lens actually fully covered the entire sensor with minimal fall off and no vignetting at any aperture, AND gave it a tilting rear screen (preferably one that is as wear-resistant as a Leica screen (please!!) who here would not prefer it? The Sony lens would need to have very good colour, which the RX1RII doesn't. Can't fix the RX1's colour in post. Sony could do what you want, the machine would not be inexpensive, especially since 100MP full framed sensor is still years away. "All the Sonys I have have excellent colour"
Not all Sony lenses. A few Sony GM lenses and few SonyZeiss do so. "and the colour of any RAW file can easily be fixed in post"
Wrong, any colour problem CANNOT be fixed in post. Some problems can, but not the weakness of the lens in RX1RII. Such posts get put up by people who know little of colour. "but anyone who does this kind of thing for a living can always fix your raw files for you in a jiffy, "
Some of the Sony GM FE lenses have nice colour, but of course you'd need the body. I don't need a 47mp camera. I'd rather put the money towards other photo equipment. a scratch or nick on the body. And when that happens I'll cry like a baby. On Image Quality, if you dare to visit my gallery here I have uploaded one of the sample raw files from the Dpreview shots posted here, as it is seen in Raw Therapee which simply shows the whole file: it is troubling to put it bluntly. I did try to get rid of the cut off corners, but even the max Raw Therapee 6 stops of vignetting compensation makes almost no difference, and it ruins the tonal qualities of the rest of the image. As no software can manufacture in-camera the absent content masked by these large black corners, one must conclude that the image is being cropped and is therefore NOT a 28mm view at all. What is visible is OK, but no way am I going to pay good money in 2019 for a camera whose 28mm lens cannot cover its own sensor at any aperture, and that has to be cropped to a 30 something focal length to disguise its 19thC performance!! It looks like you don't know how to use the RawTherapee vignetting and distortion control. Also RawTherapee 6 would be betaware. 5.5 is the current version as of March 23rd 2019. No software is ever going to work out redoing corners that are that dark. It's preposterous to expect that. That's why there are other methods. "one must conclude that the image is being cropped and is therefore NOT a 28mm view at all." No, one concludes the corners are stretched, not the middle of the sides. I really suggest you look at the distortion sliders function. I tried minus 6 stops vignetting control but HAR, it makes NO difference as there is no image in those corners to rescue- why dont you try, and stop pathetically arguing without checking first, duh? All you're doing is saying you don't know much of RawTherapee, or ACR either. I "checked" years ago, but I'm somewhat, not completely, familiar with RawTherapee, unlike you. What we should be doing is asking ourselves how come DPreview's staff have not sorted this out- since they are reviewing, let's hope that they do, and that they and imaging resource carry out detailed performance tests to discover what the shutter lag actually is, in all modes- can it compete with the Sonys of today? Shutter lag? It's not significant with the Q2, nor is it significant with the Leica Q. 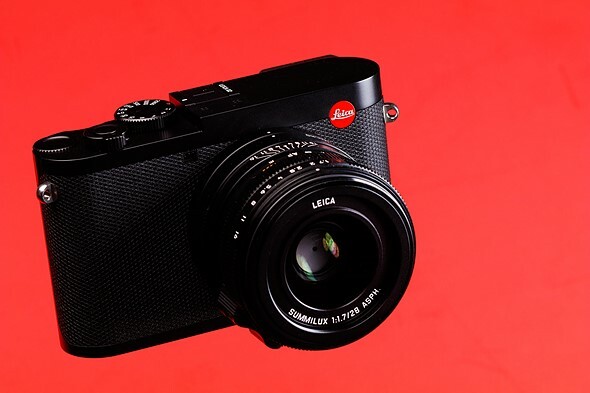 As far as I know Imaging Resource did NOT review the Leica Q. But I could be wrong, so I'll check. There's no Sonys in competition with the Q. There's one Sony, the RX1RII. 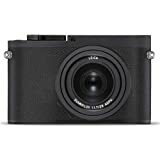 So I checked, and Imaging-Resource did NOT review the Q.
IR has done exactly 1 Leica review; it was a review of the SL full framed mirrorless body. 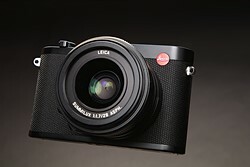 I have found that DPreview did review the Leica Q and they came to the same cionclusions re lens coverage etc as I did, so check their review and their samples S.V.P. There is no significant shutter lag with the Q.
the fact that the lens doesn't cover the corners is widely understood, and not the subject here. As you are replying to my post, please do actually read it. You will find that the lens performance and vignetting were and are the subject of my post, and the reason that I posted complaining that the lens cannot cover the sensor at any aperture-which Dpreview themselves discussed in their Q review. And we've gone over the vignetting thing already, therefore it is NOT the subject. 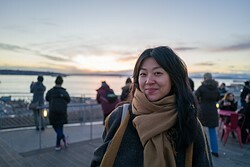 You changed the subject to making up things about a non-existence review of the Leica Q by Imaging Resource, and about non-existent Q shutter lag. Do try to read your own posts before responding. Where in there do I so much as mention Imaging Resource? the vignetting is not the subject any longer. it never really was, nor was it something I disputed. Notice how my first response to you is mostly about the software RawTherapee. "Where in there do I so much as mention Imaging Resource?" "DPreview's staff have not sorted this out- since they are reviewing, let's hope that they do, and that they and imaging resource carry out detailed performance tests to discover what the shutter lag actually is." There is NO appreciable shutter lag with the Q or Q2. Please stop assuming I've not tried gear. Why on earth do you think no one else besides you and DPR has noticed the coverage issue of the Q/2's lens? This is a serious question. Another: Where do you think I've disputed the vignetting from the Q/2's lens? You'll not find me doing so anywhere above or at DPR, the only place I use this screen name. Again, don't misrepresent what Imaging-Resource has reviewed, and also learn about the distortion sliders in RawTherapee. Q is "Hugely popular?" 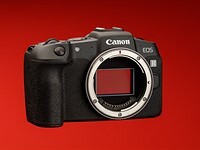 Where does it rank in sales of full frame digital cameras? I'm sure many people would love to have one, but how many actually have purchased one? Higher than the Sony RX1RII. And yet, I see Ms once a week at least, and Qs about once a month, but in the winter they're under coats. Very few people have Q2s, and from the front those are next to indistinguishable from the Q.
I know no one who owns an M or a Q, or an S or and SL. I really like the new specs of the Q2 and I would seriously consider to upgrade my Q, but I'm afraid that these small pixel size of the new Q2 affects the ISO performance badly. 24 MP is more than enough for me and the extreme high ISO examples of Q2 seems to have more color noise than the original Q.
I would otherwise really like to have a Q with light weather resistance and a better EVF. Even the extra 2500 EUR price difference between a used Q and a new Q2 is a bit too much for the real image quality difference between them. If there is any... Other than higher resolution? To my eye, with firmware V1.0, the raws are usable through ISO 12,800. This is based on my own raws. Yes, I made sure to shoot into deep shadows. Later firmware may improve higher ISO performance, as it did with the Q V1. At ISO 25,000 banding starts to be a problem. I hope Leica adds the option of 1/3 of a stop ISO (gain) settings--I've not seen it in the menus when I've handled the Q2. The SL allows an ISO setting of 1250 for example. The new EVF is excellent. Ok, cheat all the time, if you want to reduce noise, overexpose, it is really that simple. If you want to raise theperformance of a D800 to that of a D850, it is ALL you need do. Granted you may blow extreme highlights occasionally- but not with dark subjects, but it is obvious here that exposing CORRECTLY with the histogram at 0 exposure setting, very rarely reaches anywhere near the 255 white point, on ANY normal daylight subject- simply because what we record much of the time is almost never snow or sky. Chris's test with snow- he is +plus one stop, and the matrix Nikon metering acts the same way- you have to NORMALLY add a stop to very bright subjects at ANY iso. To lose grain/noise at high iso you needs must add another stop! I, buy the way, have NEVER gone above 640 iso, though I once tried 800 on a 1Ds for a laugh. So, why not just make it with an M mount? i don't get who this cameras are made for. Not for serious photography obviously and it will be obsolete next year so your lens and camera body will be history. Just get the fuji with the 23mm 1.4 and you will have your lens next year. I don't knoow, it just makes better sense to me. The answer to your question is - those who don't want an ILC and can afford and appreciate the high end products that Leica produces. What's not to like about a well made camera with a high resolution large sensor and an excellent lens, except for the price. Many of those with camera and particularly lens GAS spend far more than this camera costs. Many (most?) people only use the lens that comes with their camera and are not shooting BIF, bugs, high action sports, studio portraits or architecture shots, so an ILC isn't important to them at all. I used 35mm SLRs with only the supplied 50 f/1.8 for years for general and travel use, and I can't remember wishing that I had additional lenses until my macro and portrait interests caused me to add a 100mm f/2.8 macro. This gets asked in various ways with every new Leica release. To give you an idea of the answer, imagine this question: "why should I buy a Rolex watch when that Timex or Seiko will do the same thing, even more?" "Why should I buy a BMW when a Toyota will get me around just as well?" And so on and so forth. Leica is a luxury brand; for some there is a feeling and pride of ownership. Nothing wrong with that, just like there is nothing wrong with being a bit more practical and frugal. Now I would say that this camera will definitely not be obsolete next year or the year after, and so forth. Just like the original Q, this will be capable of making great images for years to come. Sure newer cameras will be released but that hardly makes prior ones obsolete. BTW, this Leica will hold its resale value far better than any other brand, just like a Rolex watch or a BMW. This might have been true at one time, and may still be true, possibly in future, BUT looking at the s/h market Leica M bodies halve in value quickly and the Q can now be had new for £3600 and s/h at prices from £2.3-£2.7K. Its an argument you lose having made the mistake of using it to excuse buying one, I feel. It's because the DPR webware gets confused and double posts things. There's this doubly ambiguous limbo in which posts hesitate. It looks like the comment hasn't posted, which is often though not always the case, and the commenter hits "post" again. It's worse with slow connections, but it happens with very fast connections too. The DPR staff is big into blaming users. 35mm would have made more sense. Not impressed with the pics. Cardslot covered by tripod for design reasons is idiotic. As fixed lens cam it puts it into competition with phones. The lens obviously cannot match the sensor resolution. Rangefinders have been obsolete for 100 years. Something for the red dot drones. Little less overpriced. Has the Leica customer bases obsessive money spending on Panasonic cams hit a wall? How do you know the lens cannot match the sensor resolution? This is not a rangefinder but an electronic viewfinder. Some real photographers still use optical rangefinders in film and digital cameras. In other words, you know nothing about the subject. Why did you think you needed to vent your spleen? Whether one agrees or not, some have criticisms of the camera that are understandable. But one gets the impression that some are criticizing the camera because they cannot afford it, and rationalizing everything else. This comment by 808 seems to fall into the latter category; his anger seems to be that he cannot afford a Leica. going nightfishing tuna 10 miles offshore. I agree that the sample pictures don't do justice to the Leica image sensor and lens. I don't agree that the lens "obviously cannot match the sensor resolution". That is purely your speculation. Leica won't do such a thing to ruin its reputation. Also only some tripod heads will cover the card door. This lens has excellent resolution, yes I have my own raws shot with a Q2. No, I didn't mount it on a tripod and shoot base ISO of nose hairs. As tassienick pointed out days ago, it ain't a rangefinder. I got the Q2 two days ago as an add-on to the M10. I toyed with the idea of getting the 28mm Summicron one day, but since it's basically the same price, I chose the Q2 instead, as the GAS prevailed. Man, that was a good decision. This piece of hardware is just beautiful, I love everything about it (except for the fact that I had to cancel my S1 pre-order for now, dammit). Outstanding build-quality, perfect size/weight ratio, good controls and amazing IQ. 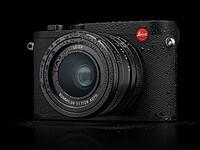 So, well done Leica, this one will stay with me for a long long time. 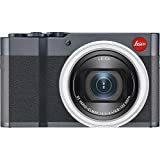 The successor to this camera should be the next M. The rangefinder mechanism is of limited use now that electronic viewfinders are becoming so good, A small camera like this allowing full use of most Leica lenses would sell well in my view. Put in a proper zoom lens (maybe even pancake) then it might be interesting. What is the tragic conclusion in this story, is that the Japanese are totally incapable of producing such a camera, or a concept. The Japanese have no talent for great industrial design, no talent for ease of use, or for the simplicity of tech. Not a single Japanese company would dare to release a camera that does not have a zillion options buried around in overcomplicated menus and button combos. Ricoh GRIII is a Japanese style gizmo still; first it can't compare with a Leica, has a totally different lens (not as good), sensor and imaging pipeline is different, plus it is stuffed to the teeth with a myriad of options. RX1 is a gadget – poor battery, poor focusing, atrocious handling, feels cheap and utterly overpriced for what it delivers. Geesh. It's not either/or. Why must everything be pitted against something else. The Germans and the Japanese both make great products. They might be different, but both have enormous value. It's great that there is diversity in the world; that is a wonderful strength of our species, and indeed any species. I just soiled myself laughing. The only thing you can say about the Germans is that they über-price everything (although this one is their "affordable" model). I'll go Japanese every time, thanks. The Japanese have the economy of scale working for them, and considering how much they earn on that, save using that model, and how much they skim by offering subpart solutions because it is easier and because with such model they trained customers into the hencage thinking, most of what they deliver is a ripoff even at prices they are offering. I loved handling and shooting Leica M4 with 35mm f/1.4, 21 f/4, 50 f/2, 90 f/4. Every part on the Leicas is beautifully made and the images wonderful. I'm sure I would love the Q. But I always thought the Nikon F2 with Nikon lenses was a more thoughtfully integrated system for shooting. I find 28mm very rewarding for many shots and think it's a good choice for just one focal length. street and indoor people and activities. I like 35mm for a very fast lens and 18/20 (architecture/interiors) and 50 (still life, light and shadow with smooth rendering) for a very sharp lens. There is the 35mm crop mode which still gives you about 30MP of resolution. Yes they do but for me 35mm would be the default and so going wider I'd want 24mm not 28mm. Fixed lens, fixed LCD (not even a tilt) the fix is in! Beautiful camera - to look at. No desire to use one. and looks like no eyecup. Eyepiece is terrible. 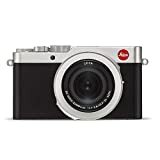 It's funny because we have the usual shock and outrage at Leica due to the price, but actually this is one Leica that is fairly reasonably priced given other cameras on the market. First, it has a lens that easily could cost a few thousand dollars. Then it has a brand new sensor that Panasonic will feature in a new FF mirrorless that costs $3700 without any lens. It has a great EVF, 4k video, a nice burst rate, beautiful design, and is built like a mini tank. It will also hold its resale value better than any other brand. If this were done by another manufacturer as a MILC, it's not unreasonable to imagine someone like Panasonic or Sony charging about $3000 or more for the body, and at least $2000 for the lens. All in all this is one Leica where the pricing seems align pretty much with the market and where the Leica premium is not that much. Thank you for one of the rare balanced assessments here. Well, 28mm is neither here nor there imo. Also, the sample gallery is disappointing. What's there to correct you about? 28mm with a FF sensor isn't for you. No big deal. You don't like the samples (raws) shot with firmware V1.0 I'd guess. Again no big deal. I like the camera, it has an excellent EVF. In fact, I've seen a situation, where the lens is bit too able to see colour. There colours is there all right, but Q2 with its lens registers it a bit more than the my human eyes. No, the Q V1 didn't see colour in a similar situation, I checked my raws. Goddamn my pentax produce better images than this! No, it does not. Pentax has no 28mm lens worth mentioning and no 28mm younger than, what, 30 years? Nor even a 35mm lens worth mentioning or applicable for even serious amateur use. And this Summilux f1.7 easily blows FA31 Ltd out of water. I'll provide my own assessment whether the Leica lens "blows the FA 31 out of the water" when I get my Leica Q2 sometime in the next few weeks. The Pentax lens is a little jewel with beautiful rendering, but I'm looking forward to see what the Summilux can do. Somehow the Ricoh GR III sample images look better than the Leica Q2 sample images. Could it be just a matter of subject choices? The Ricoh GR III costs less than 1/5 the cost of the Leica Q2. The Ricoh is also much smaller and lighter. You can't judge a camera by the sample gallery on DPR. Surely I can. These are digital files (no loss of quality), and you can even download the original jpeg and RAW files. @pro photo 2011: Just a little dig at the skills of some at DPR. Agree that the Ricoh GR line is pretty nice. I was considering at one point, with the Coolpix A, but decided against the 28mm, and want a vf. The Ricoh GRIII has an excellent lens. Of course it has no EVF. Have you seen raws shot with the Ricoh GRIII above ISO 1600? I would be quite happy with the GRII even (at $500 used), not for the 28mm but with the wide-angle to give me 21mm, pushing the price up another $150. But then the external VF is $250, add up to $900 for the outfit, so I researching to see if there is a better option for less money. A6000? The GR2 is an excellent camera, and unlike the Sony A6000, it doesn't shoot lossy only raws. The A6000 has better AF, and of course far more lens options. There is no such thing as "Of course it has no EVF". What about "raws shot with the Ricoh GRIII above ISO 1600"? "There is no such thing as "Of course it has no EVF"." The fact remains that the Ricoh GRIII, and 2, has no built in EVF, and one can't mount an EVF on it the way one can with say the Leica TL2, or say the old Sony Nex 5 models. My 6D says no too, that spares me the agony of not being able to afford the Leica , and likely a divorce if I bought it. I like the camera, but can't get past the battery design. I really don't like the concept of making the battery a part of the exterior case. This means the battery must have a part of the case of (hopefully) equal quality, and also preserve the weather sealing integrity. On every battery. This only serves to increase the cost of the battery. To wit: I just checked on Amazon and it's $250. How do I justify that to myself? That it's German engineering? Yet it's made in China. The genuine charger is also $250. Gold contacts? The battery is indeed designed to be part of the overall weather-resistance of Q2. Similar design for SL and Leica S where battery is "part of the case". Having used the S for a few months, I can say that having battery be a part of the case is actually very nice and you don't have to worry about broken battery doors. Agree that battery prices for Leica cameras, not just Q2 do not make sense. You can however get used ones for substantially less than new ones. For charger Nitecore USB Travel Charger can be had for under $60. @deepiReview, thanks for the info. When I travel, I recharge at the end of the day. So I need one battery in the camera, one spare because I might need that second battery before the end of the day, and a third for backup, in case I suffer a battery failure. This ensures that I always have two working batteries. That's $750 for 3 batteries. I looked at the SL but ruled it out for the same reason. I don't mind spending money on a good camera (or I wouldn't be looking at Leica) but $750 for three batteries puts a dent in the value proposition. A friend gave me a Leica battery for my Panny LX5. The battery was for Leica's version of that camera. Works fine in the LX5. Same power spec, but I noted that even that battery cost twice as much as the Panny version. Both made in China. Not that that's bad, just that the manufacture costs should be similar. Try calling Popflash.com and see if they will throw in an extra battery for Q2 pre-order at no charge. They did it for me. Leica, "Tough luck! Take it or leave it! 28mm it is. There you have it!" 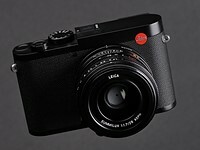 I think many would like a Q series that was an ILC...the reality is that Leica already has that in their SL. Now of course their SL is larger and the lenses are considerably larger. But that's the way it has to be. The only reason the Q with lens is so small is that the lens is built into the body. The same reason why the Sony RXII is so small. Once Sony decoupled the lens from the body in their FF A7 series, the lenses had to get bigger if they were going to use AF. 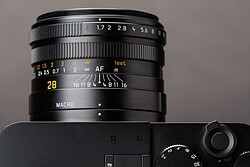 The other FF lenses that Leica makes that are so small are only that way because they are manual focus only and of course are meant for their M system. Would think if they put out a 50mm model they would sell a bundle. ... or make it ILC. 50mm is too narrow for streets imo which is the main focus of this camera. 28/35mm is king for its intended use. If they made it ILC both the body and lenses would be larger and it would have a leaf shutter. Lens wouldn't be macro either...but I doubt you'd buy into the lens ecosystem for that mount. Leica has a FF MILC with AF and EVF: the SL. We see the size and pricing of both the bodies and the lenses, so it's not theoretical. Even my cat says no. Hey, you have to stay way ahead on shoes and purses for moments like this. And maybe Meow Mix. That's not a cat. It's a flerken. There is too many missfocused pictures in the gallery. It looks like a nice product but missing focus from such a product is bad simply. Wonder why DP review missed this again. Okay, excepted I downloaded 15 DNGs and not a one was out of focus or mis-focused. So can you identify some of the files you think out of focus? Unfortunate photographing, it must have been. Bad luck! Please cite a file number you consider [unfortunately] out of focus? It is a thing of beauty. An unattainable thing of beauty for most of us, but a thing of beauty nonetheless. Well, in about 12 months there should be good condition used Qs available for about $2000. @Howaboutraw. I think you will be waiting longer than 12 months for that used price. Assuming Leica fixes any obvious Q2 firmware problems (banding in higher ISO shadows being one) you should be able to find a Q in not perfect condition for about $2000 in the spring of 2020. 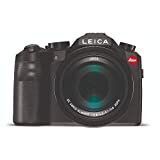 What would keep the price of USD Q up around $3000 (you can buy if to $4000 today) would be some big failures with Q2 that Leica can't or won't fix via firmware. I am afraid for a $2000 Q2 you will have to wait for the next model to come out. The Q came out spring of 2016. The Q2 spring of 2019. That is a three year product cycle. HowaboutRaw: ahh I thought you said a used Q2 you wrote Qs. My friend RAW and I don't always see eye to eye but I am with him on this one. I sold my Q for $2,350 this week. And I see at least one Q on FM at $2,750. What are you saying is "made in China"? The Q2 is made in Germany with parts from all over the world. Also no as a general rule "made in China" doesn't mean low quality. Both Nikon and Olympus make cameras in China. 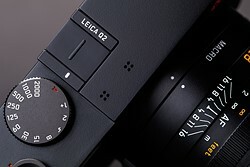 M lenses can readily be mounted on the current digital CL from Leica. All it takes is a narrow ring adapter, which adds little to the thickness of the CL body. What you're asking for is a separate line of cheaper M rangefinder bodies. Leica is unlikely to pursue that market. Sorry if someone has already commented, but why are there white alignment dots on the lens and the mount if the lens is not removable? It's both for the macro mode and lens hood alignment purposes. You can shoot pics at 28mm... and.... well....... It's like a phone camera with a big sensor, without all that other annoying phone stuff. It even has the same size grip as a phone. What a cool product for people who want a product they think is cool. And only $5000 to feel .... special. What a steal. They're gonna put some psychologists and therapists out of business. aperture, shutter, exposure comp, viewfinder. You can take pictures nobody wants to look at with a phone or take pictures nobody wants to look at with a $5,000 camera but one of them will be a whole lot more fun. Or you can take pictures with a $500 camera that has "'aperture, shutter, exposure comp, viewfinder" and you know... a grip, and have even more fun. But then there's that leftover $4500. I suppose no fun can be had with that. Bummer. Or you can get the RX1 II for a mere $3300 to feel almost as special. Yes and you can save a lot of money by using a pencil, paper and just sketch out the scene. Who needs a camera. Would you think iPhones would fit right in that pattern? "A new Auto OIS mode only kicks in stabilization when shooting at 1/60 sec or slower." Q1 has Auto ois, and the kick-in is at 1/50, i.e., slower than 1/60, not 1/60 itself. I think that Auto OIS (or IBIS) is a great idea. Lens focal length should be taken into account as well as shutter speed, which should also be manually adjustable. Now this wouldn't be necessary for this interesting Leica camera of course. I don't like the idea of operating IS when your shooting demands shutter speeds that don't require it. I have to switch the IS on my camera on and off manually with an assigned button. Normally it is off and it only goes on when the IS can provide some advantage, rather than operating for no reason. Other than battery drain, what concerns do you have about unnecessary IS? Will LUMIX soon have it's own fixed lens full frame camera? Or will it be a GX8 type? Whatever it is, it will surely cost about a third what the Leica does, bought by people wearing watches costing under $500. Sony’s RX1 is 2/3 the cost of the Q2 and the LX100 is even closer to the cost of the Leica version. There is no way the Lumix version of this camera is 1/3 the price of the Q2. OK. maybe not 1/3 the cost, even around $2,500~$2,800 it would be more reasonable. I had no idea that the Sony RX1 costs that much, with the added feature of that klutzy pop-up viewfinder; perhaps the Leica just looks better - that's worth something. As for the D-Lux vs. the LX100 II costing about the same, yes. 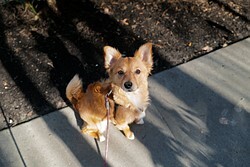 though I'd like to see a side by side as to 8 or so megapixels more is better than having larger pixels in low light. The Q2 has a bunch of features like OIS, betterEVF, IP52 weather sealing, UHS2 card support, longer battery life, etc. that the RX1-2 doesn’t. Leica will outperform other cameras on one area: they tend to hold their value very well over time. Sure it is costly, but if you want to resell it in a few years time you can probably recoup a lot of the original purchase price. That of course is owing to the fact that Leica is a luxury brand and so the economic valuation is based in large part on factors like prestige, pride of ownership etc and not just on the camera technology or features. I'll still put my bet on a jack of all trades A7iii + FE28 or Tamron 28-75, at least that's what my wallet tells me. I will put my money in an index fund. That's what my wallet tells me. And the Q's lens, for colour, outperforms the Sony RX1RII's lens. You gotta stop with the "luxury" ignorance. Leica cameras (really lenses) often do things other lenses don't. And such "luxury" claims are just more hackneyed Leica basher ignorance. And no, this camera won't hold its resale value real well, you'll get nowhere near the purchase price in a few years if you attempt to sell this used. A big reason is the Q on the used market. Yes, Leica lenses can cure diseases like Chuck Norris' tears. They can also take pictures for you automatically, process and frame them on the wall for you. Other lenses can't. Ironically, yes, Leica microscope optics can allow you to see the development stages of bacteria in say blood better. Nothing to do with Chuck though. And correct the microscope company is separate now. So yet again, an attempt to bash Leica works to the basher's disadvantage. Poor attempt to sell Leica microscopes here. Sony sensors can spot the smallest of pathogens from a mile away. So you don't know much about visual light microcopy either. How not surprising. Oh I know all about "microcopy". Your Canon G2 uses lenses from Leica "microcopes" - bet you didn't know that. I'm aware of the fact that the G2 has what many call a PanaLeica lens. But in no way resembles either the eye piece of the objectives on my Leica microscope. Well Sir Raw, I would love to see some pictures from your Leica microscope. I don't have the camera mount for the microscope. i wish i didnt know how to crop photos. …I know what they say about a fool and his opinion! You will never know for sure if the Leica has better image quality than an iPhone, that would take some comparison in different shooting situations with a range of settings and lighting. That would take effort and time. I guess that is why people say their iPhone is better, it takes no effort and requires no experiential knowledge. Even the best phone camera takes photos that look like garbage compared to this camera or any other newer "real" camera even with the smallest sensor size. Thank you for the informative first impression. I look forward to the final report. Anyone used a Q knows its a stunning camera. 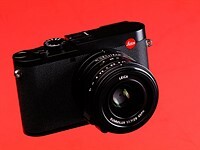 This new camera seems to be the most sanely price Leica considering the specifications. haters are going to hate. Sony will release a RX1RIII at 3500 and still the Q2 will be a better camera in all aspects. 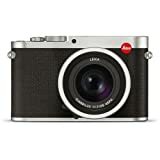 I have always been horny for Leica, but never have put forth the effort to invest in it's ecosystem, until now. Why would the Leica Q2 have a "terrible" jpeg color output when Leica knows that DPR would be one of the first few sites to review and criticize this deficiency? Great question. Why camera makers do many of the things they do is a source of eternal bafflement to me. They make dumb, obvious mistakes all the time, despite having been in the business for many decades. It's pretty frustrating. Is it really? I don't know the person in the shot, but for me the JPG looks more real than the processed RAW. 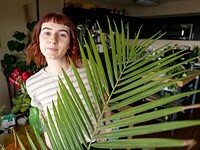 The hair, the plants and the skin looks more like what I would expect indoor with daylight than the really warm and saturated processed image. Is a JPG which is really close to the real world that bad? Do we expect a professional camera to alternate images to be "flattering" by default? I hope that the jpeg tone can be fixed with a firmware update. Otherwise looks like a great camera. It looks like a Great camera but why no tilting screen or swivel screen? PS: Is anybody buying 2 Q2’s? A Leica needs no bells, whistles, or frills. 1. Poor jpeg output in skin tones. I don't like the idea that each and every photo of people needs to be processed first, especially in a "compact" camera. In a $5k camera, I would expect EVERYTHING to be perfect. 2. No hand grip. Especially in view of the weight, that's a bummer. 3. No manual controls for exposure compensation and ISO. I hate diving into menus for essential features. 4. 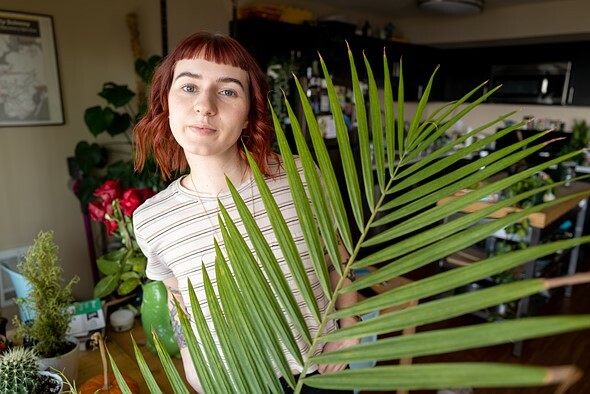 The camera is heavy and not pocketable, so if you need to carry a bag anyway, you could also spring for a Sony A7iii, or, if full frame is not a must for you, a Fuji XT3 with a 23 or 35mm 1.4. The total weight will be about the same and you will have the opportunity to use other lenses as well. Plus way better video features. Tell you what, you can buy the Fuji XT3 PLUS the X100F for travel, which is a superb camera and much lighter. ozuidema, that was a really goof post. All true (and I love my Fuji gear and have it all -- APSC and MF). And I also really liked DPR's review. Very well done (which is not always so). Yep. Everything you said is true. And I haven't had a Leica since 40 years ago. So I'm sitting here this morning after reading this review knowing I am probably going to buy this camera. Why? I don't really know yet. It may be time. This Q2 is a huge upgrade from the Q. You buy a Leica because you WANT a Leica. pro photo 2011, I like this camera but that is the stupidest reason to buy anything that I have ever heard of, ever. Mindless consumerism. Brand loyalty as personal identity. Fools and their money, I guess. Greg7579 Haha, fully with you, Greg. We often buy gear with our hearts and there is nothing wrong with that. 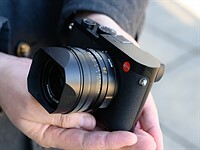 I can understand the appeal of the Q2 with its sleek design and gorgeous Summilux lens. To me, it would be too hard to justify the expense, but if it gives you pleasure, why the hell not? BTW, love your photos on Flickr. Many purchases are indeed irrational and they are perfectly human and normal. Fixed lens and 28mm, isn't that what your phone is for? when zoom lenses are implemented into phones, are you gonna ditch your camera ? I think the equivalent lens alone is upwards for 3k. So 5k for this lens and 47mpx sensor equipped Leica body. That’s a Leica bargain! !